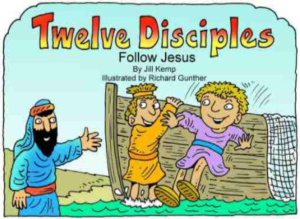 These free, printable Bible Story Booklets are a fantastic resources for Small Group Leaders. There are booklets available for dozens of Old and New Testament stories, including several of Jesus’ parables and miracles. You can print these off and make them into individual booklets for your students, or create one copy and use it as a read-aloud or re-telling of the Large Group Lesson. Another fun way to use these to review a story is to cut out each scene separately and have students arrange the scenes in order (make sure you cut off the page number! ).